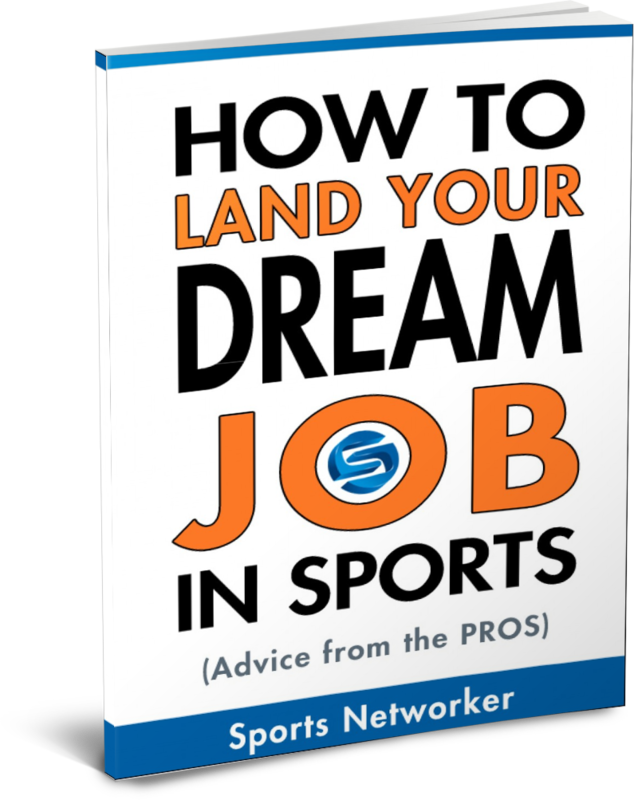 Sports Networker and www.sportsnetworker.com are committed to maintaining and protecting the privacy of your personal information. Collectively Sports Networker and www.sportsnetworker.com will be referred to as either “we,” “our” or “us.” The following discloses our policy for gathering and disseminating personal information collected by Sports Networker and www.sportsnetworker.com. If you have any questions about your rights as a user of our services, you may contact Sports Networker at www.sportsnetworker.com, via email. We may collect two types of information about you when you visit the Site, contact us, place an order, or in any other communication we may have with you: personal information such as, your name, address, telephone number, e-mail address, and credit card number), and, via the Site only, non-personal, aggregate information (such as information regarding the pages on our site you have visited and your IP address). The only personally identifying information that we collect and store about you is the information that you have chosen to provide to us. For example, if you place an order with us, we may collect your name, mailing address, and credit card information. IN the alternative, if you register on the Site, we may collect your name, store name, your address, store address, e-mail address and other personal information so that we can process your registration. In addition, if you contact us via phone or send us e-mail requesting information about us or otherwise ask us a question, we may collect your name, phone number, address, e-mail address and other personal information so that we can respond to your request or question. We may also from time to time send you e-mail and postal correspondence regarding products and services that we believe may be of interest to you. The Uniform Resource Locator (“URL”) that was accessed before making the request for our web server. Some parts of this Site web site may use a “cookie” – a file placed on your computer hard drive allowing our server to log the pages accessed in the Site to determine if you have visited before. This cookie captures no personally identifying information. You may set your browser to warn you when placement of a cookie is requested, and decide whether or not to accept it. Please not that by rejecting a cookie some of the features available on the site may not function properly. We may also collect information through “referrers,” IP addresses and various environmental variables. A “referrer” is information the web browser passes along to the Beehive Books web server that references the URL from which you came. An “IP Address” is a number used by computers on a network to identify your computer so that data can be transmitted to you. An “environmental variable” may include, among other things, the domain from which you access the Internet, the time you accessed the web site, the type of web browser and operating system or platform used, the Internet address or the web site you left to visit the web site, the pages you visit while at the web site and the Internet address of the web site you then visit. We may collect IP address information in order to administer the web site and to gather broad demographic information. We may share your personally identifiable information with any affiliates, partners, agents or other parties whose products and services may be of interest to you. If you do not want us to share your information in this manner, please see the “CHOICE” section below. We also reserve the right to disclose your personal and non-personal information if we reasonably believe we are required to do so by law; to protect our self or to protect the rights of another user; to reduce the risk of credit or other kind of fraud; or to comply with a court order. We may also share your personally and non-personally identifiable information with third parties that help manage our web site, databases, credit card processing companies, and affiliate relationships. We may share your information with third parties in order to fulfill your request or otherwise complete a service provided to you. Though we may also from time to time share your personal information with third parties for research and development purposes, we will not sell your personal information to any third parties, other than as specifically disclosed in this policy. Our Site also may offer blogs, chatrooms and forums that allow you to post information for other users to read. You may publish information on electronic bulletin boards generally accessible to other Site subscribers. We do not assume any responsibility for the privacy or security of any such communications, and you assume all risks of publishing such information on the system for examination by others, including our employees and persons who gain unauthorized access to the site (“hackers”). Furthermore, any such information published by you will pass through and be stored upon one or more of our servers. We will access the information stored on our server(s) for three purposes: first, to verify that the Site program and system is operating properly; second, to police the content of publications in response to any customer complaints about inappropriate content, and, third, to gather information for statistical purposes. No information published by a user is to be considered an expression of opinion or fact by us. We do not adopt, ratify, guarantee or endorse the contents or accuracy of any such publications. If you believe a communication published through such a forum or blog violates your privacy, you may report the same to us by e-mailing us for investigation or by mail to Sports Networker, Post Office Box 141320, Columbus, OH, 43214-1320. If you do not want us to share your information, please send e-mail. We make every effort to have reasonable security measures in place to protect the loss, misuse, or alteration of information under our control, including using Secure Sockets Layer (SSL) technology to collect and transmit your information. If you have any questions about the security of this web site, please contact Sports Networker, Post Office Box 141320, Columbus, OH, 43214-1320. We are not targeted to children under the age of 13, and we do not knowingly collect personally identifiable information from any child under the age of 13 without parental consent. When we receive such information, we delete it as soon as we discover it and do not use it or share it with third parties.